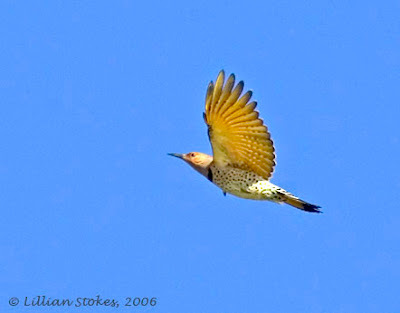 A Northern Flicker just showed up in our yard, a sign of spring! Welcome! Here in NH, we have the subspecies that is in the Yellow-shafted group. 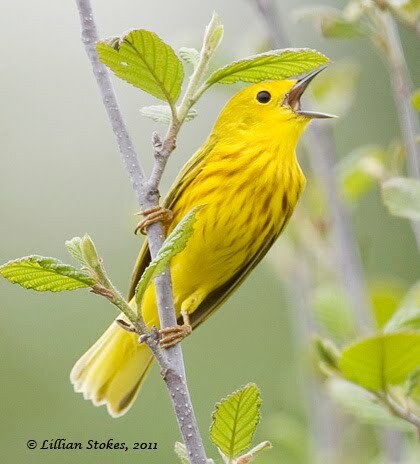 You can see the beautiful yellow under wings. 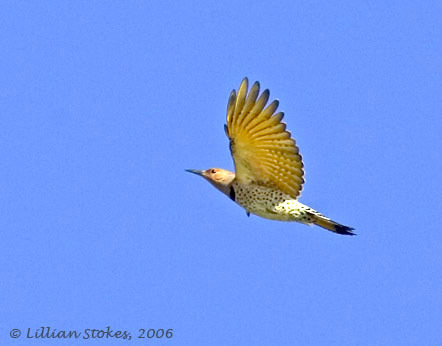 In much of the West, there is the Red-shafted group of subspecies and these flickers have reddish under wings. Our bird had just arrived from migration. It tried to land on our suet feeder, but swerved away. 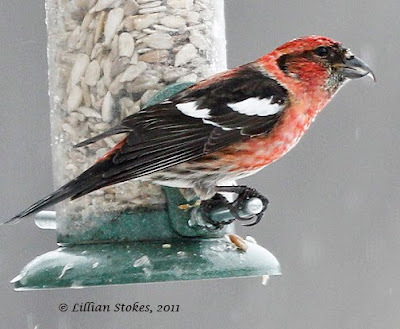 Since we still have snow on much of our ground, it will have to find food in the melted areas. 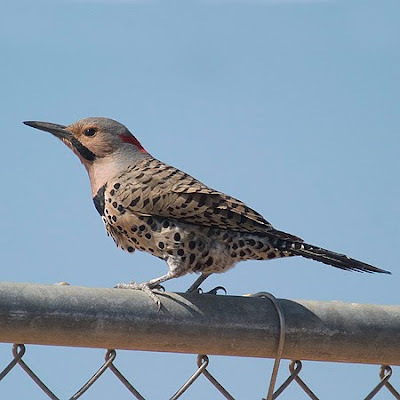 Flickers feed mainly on the ground and eat lots of ants. 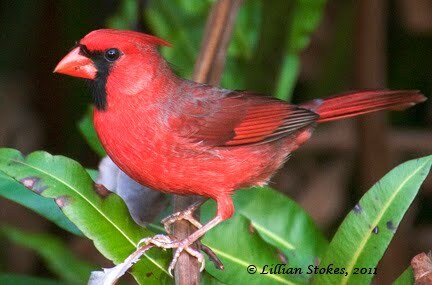 They also eat fruit, berries and seeds and sometimes come to bird feeders. Ducks and geese on the Connecticut River between NH and VT. 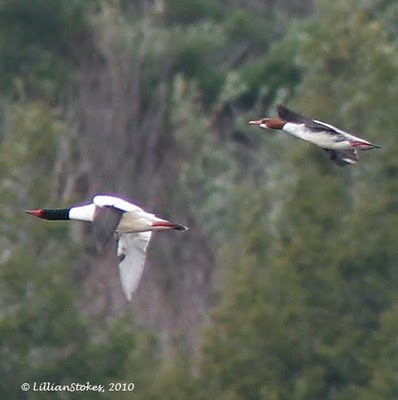 The Connecticut River is a major migration flyway in spring for waterfowl. 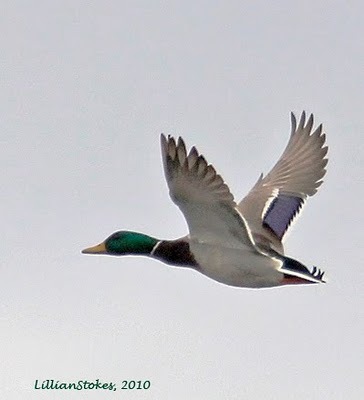 This is a great time to go out to lakes and rivers (where the ice has left) to look for all kinds of migrating ducks and geese who are making their way to northern breeding grounds. 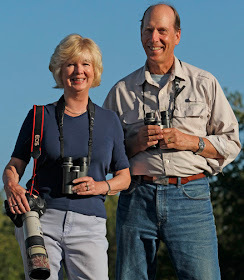 Bring your binoculars and a spotting scope, which is helpful as many of the birds may be at a distance. 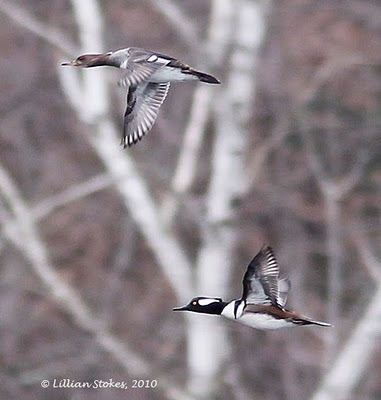 Here in southwest NH where we are, some of the earliest migrants are Hooded Mergansers, Common Mergansers, Black Ducks, Mallards, Canada Geese. 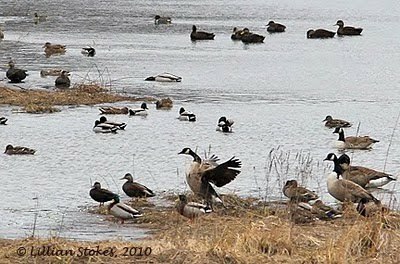 There are even reports Snow Geese have been spotted. Get out there this weekend and find some ducks! Here are some spring images from past years that can cheer us up as we wait for spring, which is nowhere in sight right now. More snow is predicted for tonight, we still have a foot, with a few melted spots. 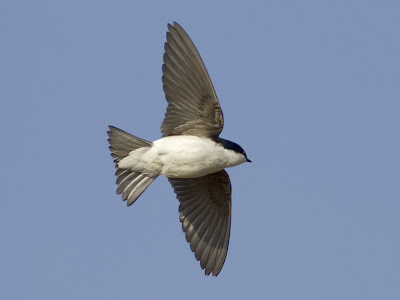 We saw our first Tree Swallow yesterday at Bobolink Farm, our NH home. What a brave bird. There's still ice on the pond and about a foot of snow over most of the ground. When the ice melts, the swallows seem to find insects over the water. Hopefully the ice will melt soon. We also saw our first Song Sparrow today. Spring is coming and migrants are beginning to flood into the country and make their way north. 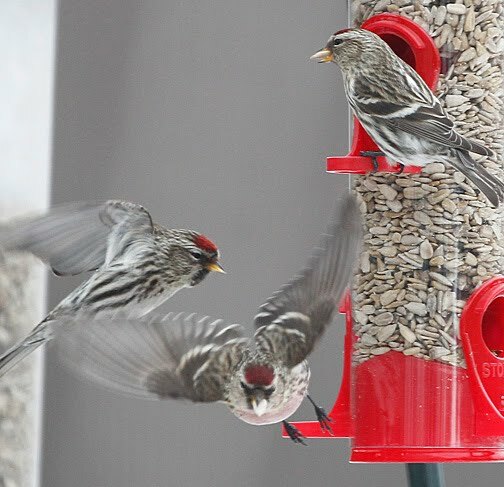 Get ready to ID them better than you ever have before with with our new field guide. 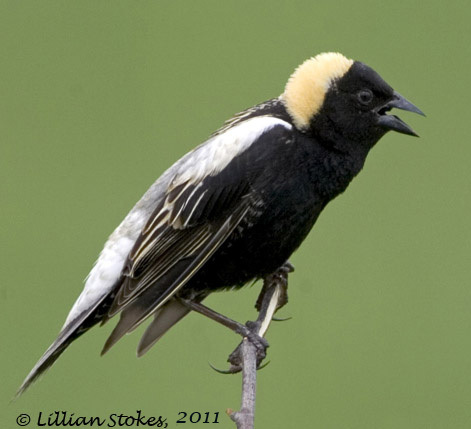 that we have nesting Bobolinks. 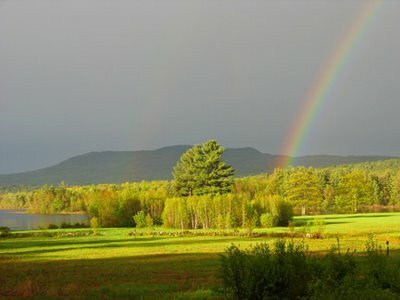 Thus we have named our home, Bobolink Farm. 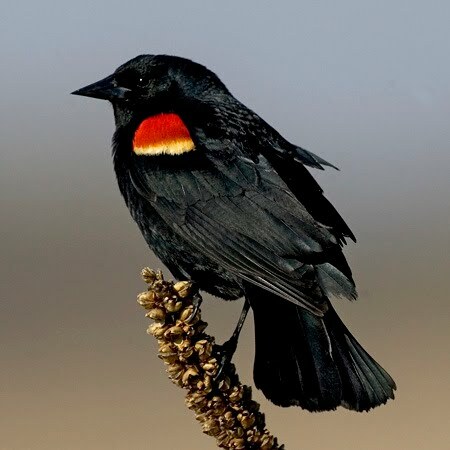 Aaah, the sun is shining, snow melting, and a Red-winged Blackbird is singing from the pine above our bird feeders. 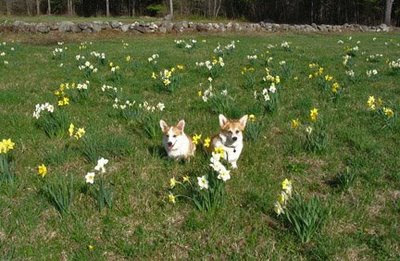 This is a sign of spring here in NH. 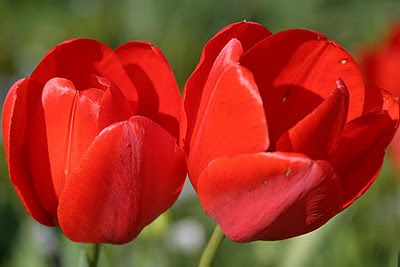 What signs of spring are you seeing where you are? Common Redpolls swarmed our feeders today. so they landed all over the ground in the fenced in area beneath our feeders. We fed them hulled sunflower. 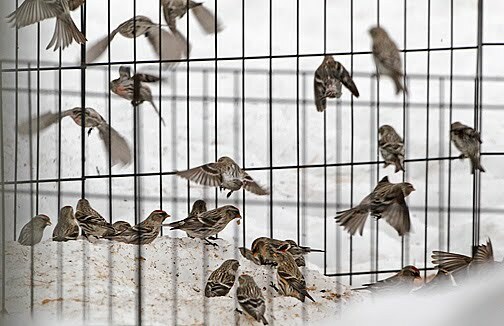 A flock of over 300 Common Redpolls of visited the feeders today. 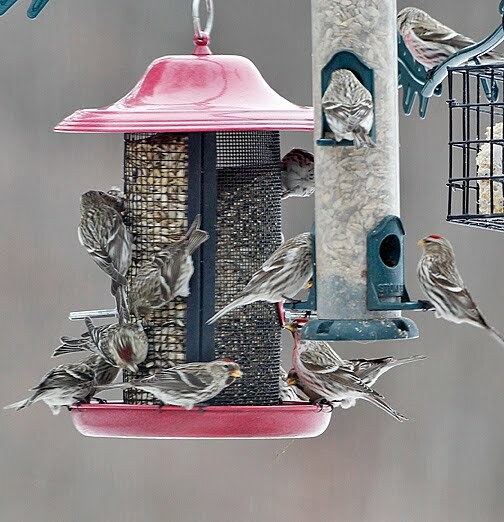 They were very flighty and would land briefly, swarming the feeders, then take off, swirl out in the air, then swarm the feeders briefly again. It's hard to convey in photos what this is like, but in reality it's awesome!! These are far northern "irruptive" finches that come down into the U.S. when the seeds up north are scarce in winter. 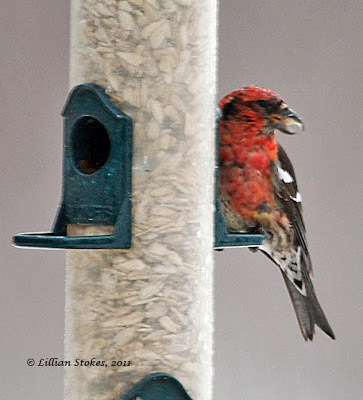 This is a HUGE YEAR for these finches here. If you live in New England, add more feeders, offer hulled sunflower and thistle and you too can have this!! White-winged Crossbills at our feeder! 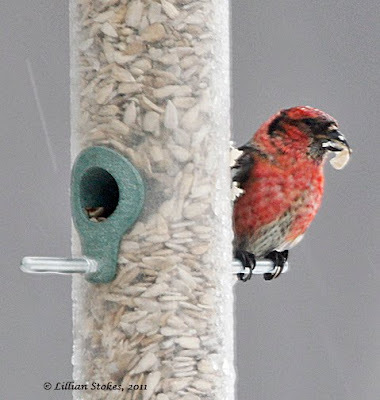 On this cold, rainy, dreary morning we had a nice surprise, White-winged Crossbills at the feeder! 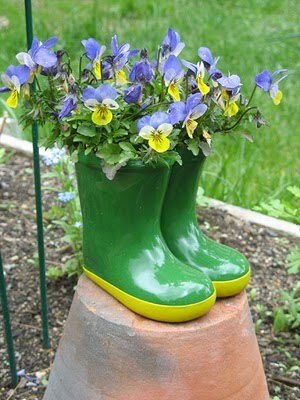 Wow, made our day! We have never had that before. 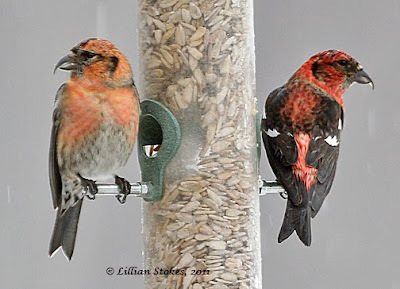 These northern birds are rarely seen here, let alone seen at feeders. 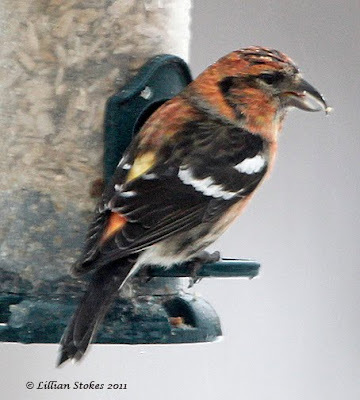 White-winged Crossbills are large finches who mainly live in Canada, AK, and northern areas of the northeast quadrant of this country. In winter they can come down into the U.S. in search of food. 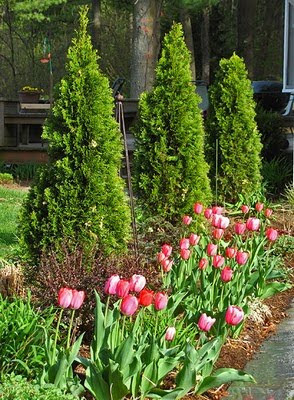 They use their amazingly bill, which is crossed at the tip, to pry open conifer cones and extract the seeds. 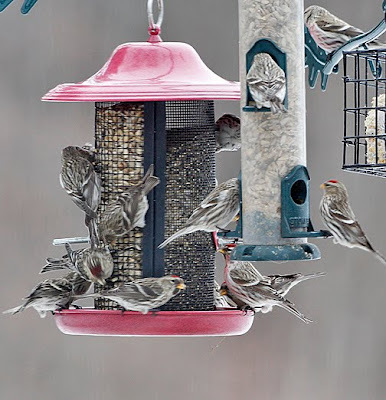 We were making it easy for them, as we had hulled sunflower in the feeders, no shell to remove. The Boston Globe will have a wonderful article Sat. 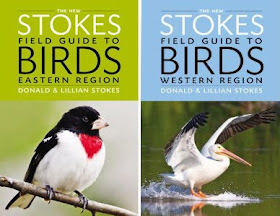 March 5th in the feature section "g" about us and our new book, The Stokes Field Guide to the Birds of North America. 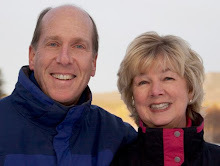 Globe Correspondent, Joel Brown did an extensive interview with us about our career and attitude about bird watching. I am quoted as saying, "I get just as thrilled with seeing the beautiful male cardinal just singing and singing in my yard as I did over 20 years ago." When asked "What bird do you want to see most?" Donald said, "Every bird, better." The full article is already online here. 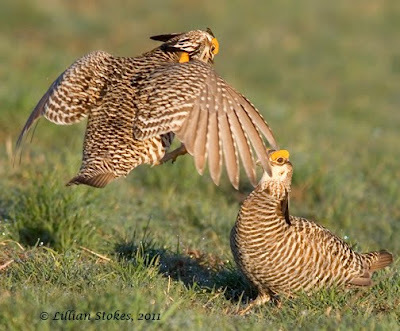 "Bird watching is not just about distinguishing between, for example, a semipalmated plover and a piping plover, or knowing the difference between a bobwhite and a bobolink. 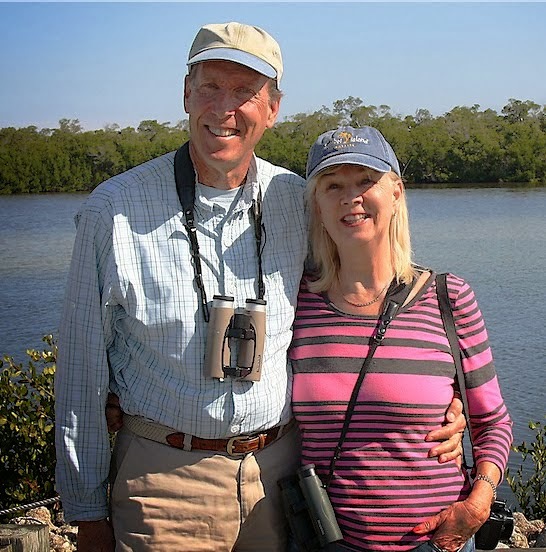 It’s about forging a lasting connection to the natural world, according to best-selling authors Donald and Lillian Stokes, who (having written dozens of birding books) know a thing or two about being in the wild. 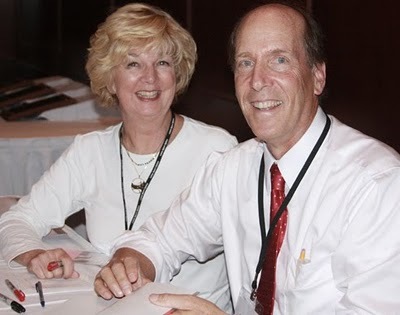 That said, for those who do want detailed information about plovers, sparrows, and hundreds of other winged creatures, the couple is there for you. 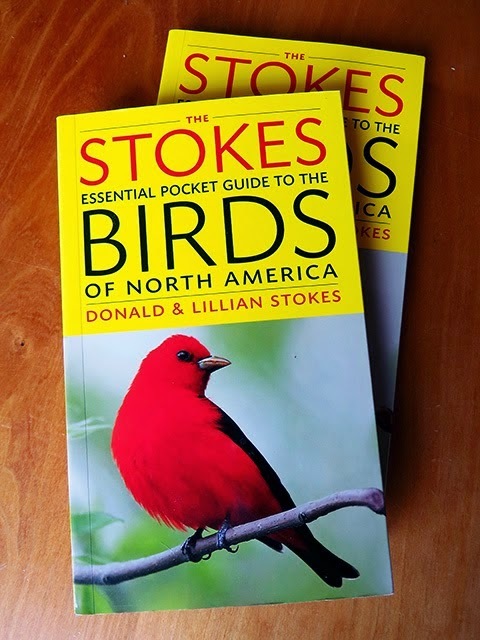 Their acclaimed latest book, “The Stokes Field Guide to the Birds of North America,’’ took six years to compile and covers 854 species in 816 pages. 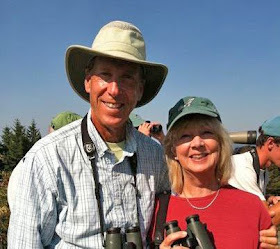 The Stokes, who live in New Hampshire, will talk about the book — their 31st — as keynote speakers today at the Massachusetts Audubon Society’s 19th annual all-day Birders Meeting at Bentley University in Waltham. 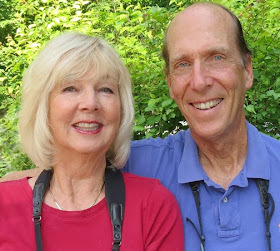 Neither Stokes keeps a traditional birder’s “life list’’ of all the species they’ve seen, but they do keep a list of the more than 190 species of birds they’ve seen at Bobolink Farm. And they’re never bored with the everyday. 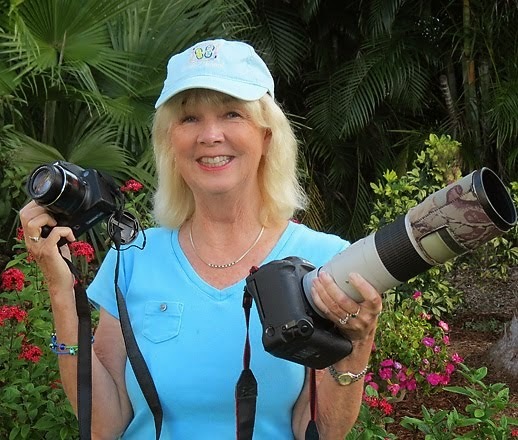 “I get just as thrilled with seeing that beautiful male cardinal just singing and singing in my yard as I did over 20 years ago,’’ said Lillian.